A collapsible fishing rod and reel is great for backpackers and travelers. The kit comes with a fishing pole, a reel, many lures, hooks, fishing line, a carrying bag, and many more essential fishing accessories. Whether you're buying this for yourself or as a gift it will be a home run buy! With a collapsible fishing pole to you can take with you anywhere you won’t have to pass up anymore irresistible fishing spots. The carbon fiber mixed with fiberglass material is super strong and durable. Because the rod has a collapsing design it’s easy to pack into a suitcase for travel or in the car so they can fish whenever the opportunity arises. It makes a great Father’s Day, birthday, or Christmas present. The collapsible design makes it a great collapsible fishing pole for backpacking or traveling. It’s a perfect rod to keep in the car just in case you come across a body of water you can’t pass up. Great for some saltwater species and awesome for bass fishermen. 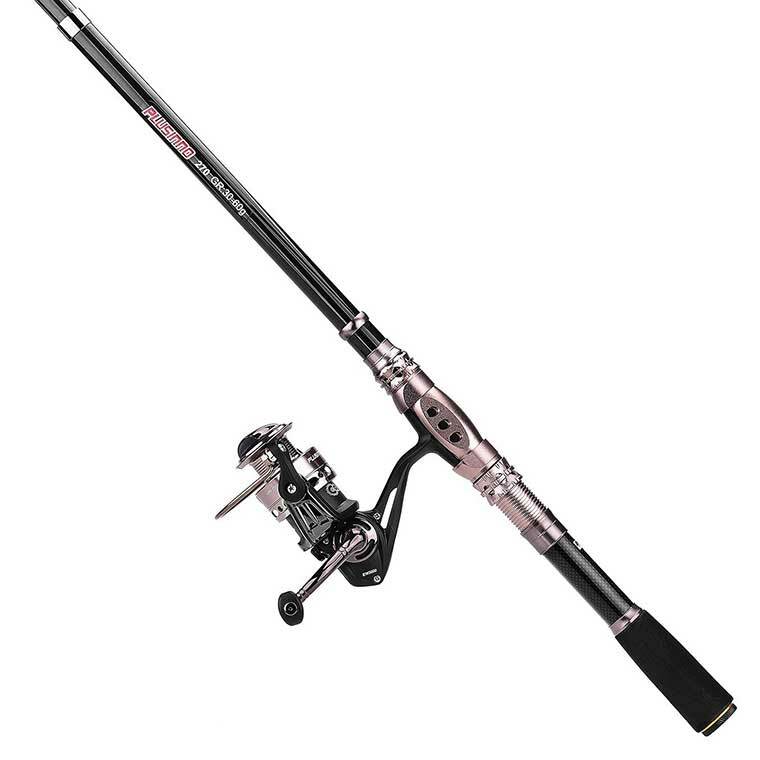 This is a seriously quality collapsible fishing rod and reel combo for the price. 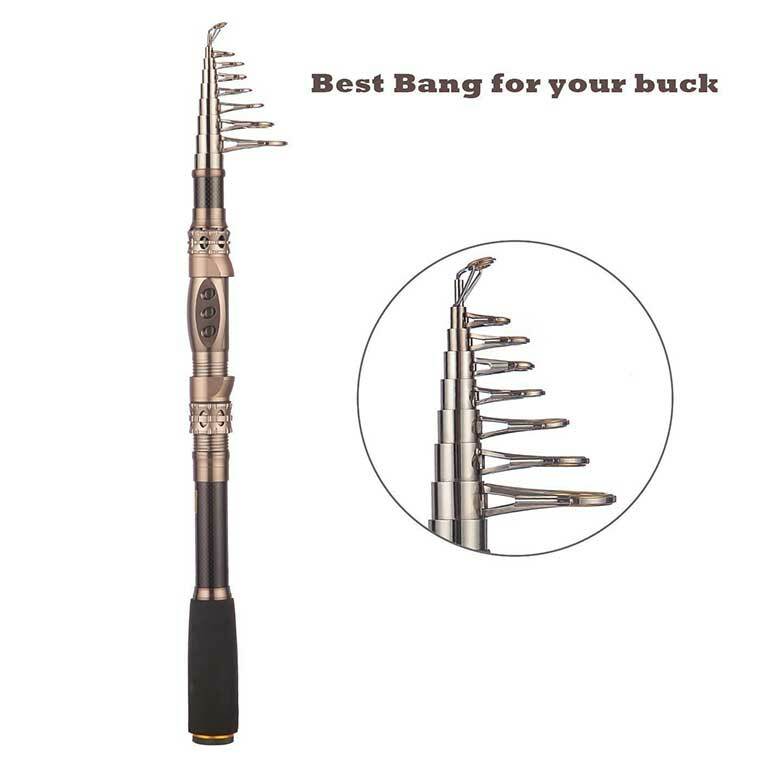 The telescopic rod is made from carbon fiber mixed with fiberglass to give it great durability. The reel is pretty good for the price. It has a deep aluminium spool that can hold a good amount of fishing line. It also comes with a great carrying case, so you can just throw it in a backpack and not have to worry about the eyes getting bent or broken. 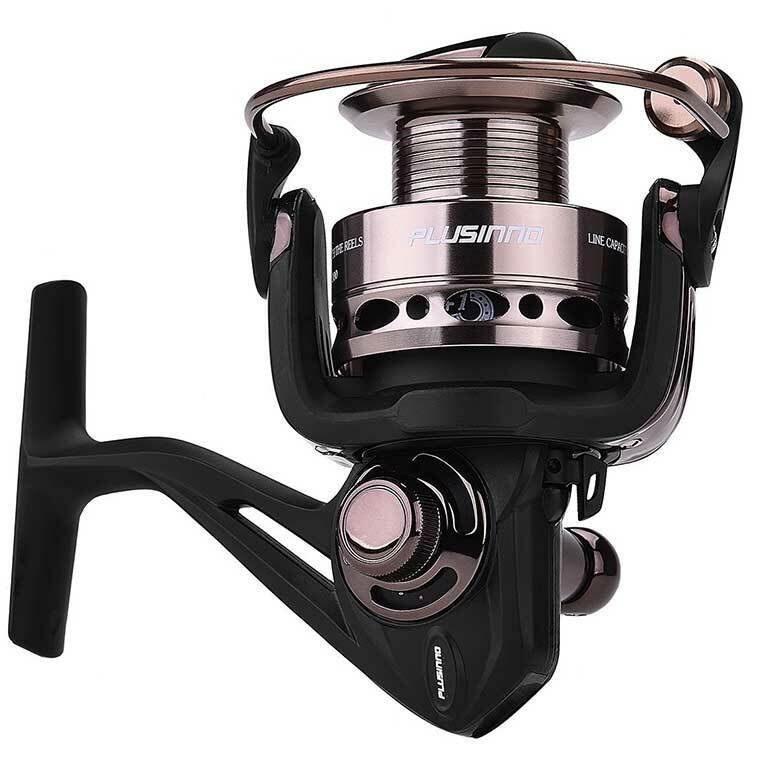 Although I have never personally tested the reel it has great reviews. If you have any questions, comments, or have any experience with this fishing pole travel set let us know in the comments.